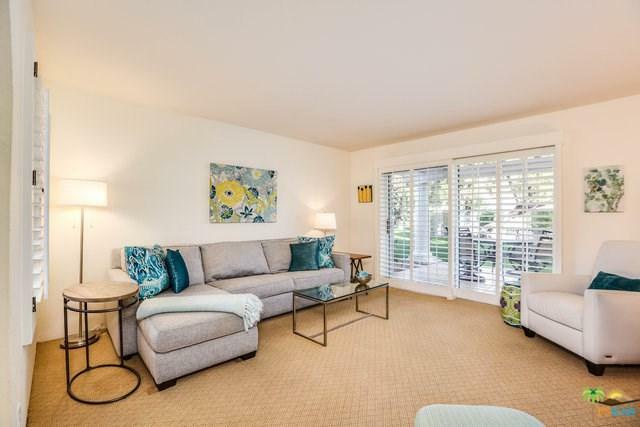 The 2 bedrooms of this Palm Springs condo are separated nicely for privacy and comfort. Each bedroom has sliding glass doors that open to a private patio. Plantation Shutters and walls painted in warm hues are complimented by sunny pops of teal and blues. 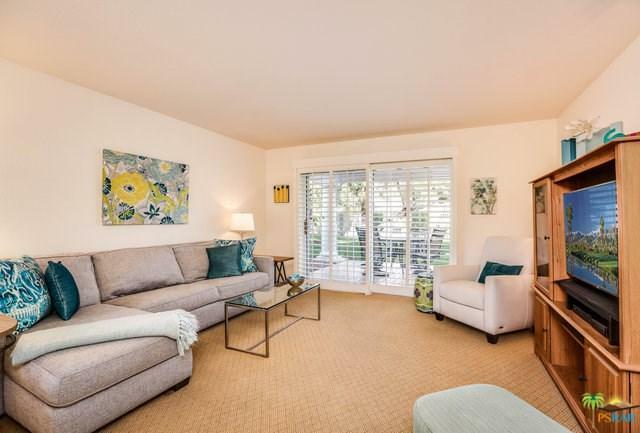 This lovely ground floor end unit condo is approximately 20' to the pool from your east facing patio. Great morning sun! 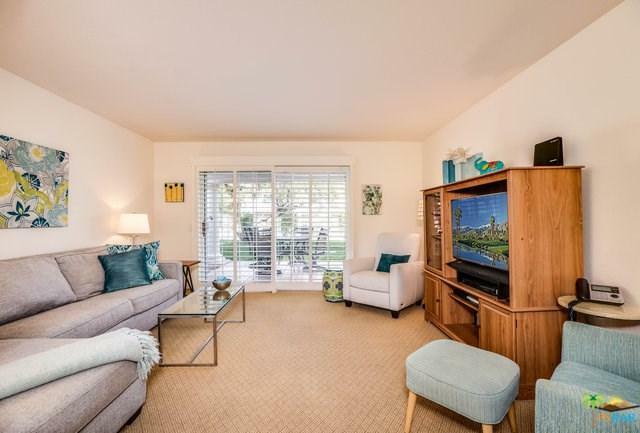 Well maintained downstairs corner unit. Building H with just 4 units and 1 shared wall. Great outdoor space over looking one of the many pools. Washer and dryer in patio closet. Both bathrooms recently updated. 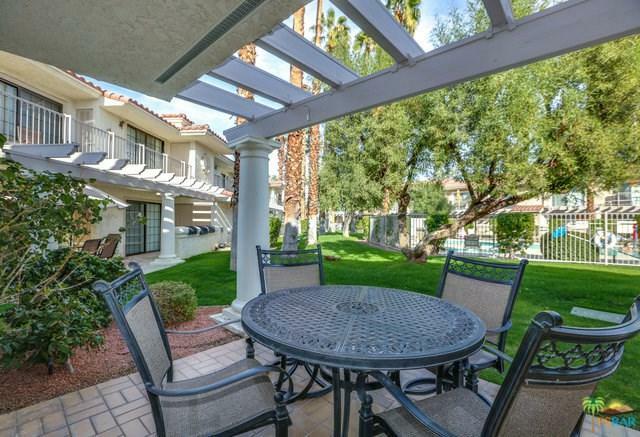 This location is just minutes from downtown Palm Springs and the Palm Springs Airport. Mesquite Country Club amenities, which include: 18 hole championship golf course, 16 pools, 18 jacuzzis, pro shop, restaurant, cocktail lounge, and club house.